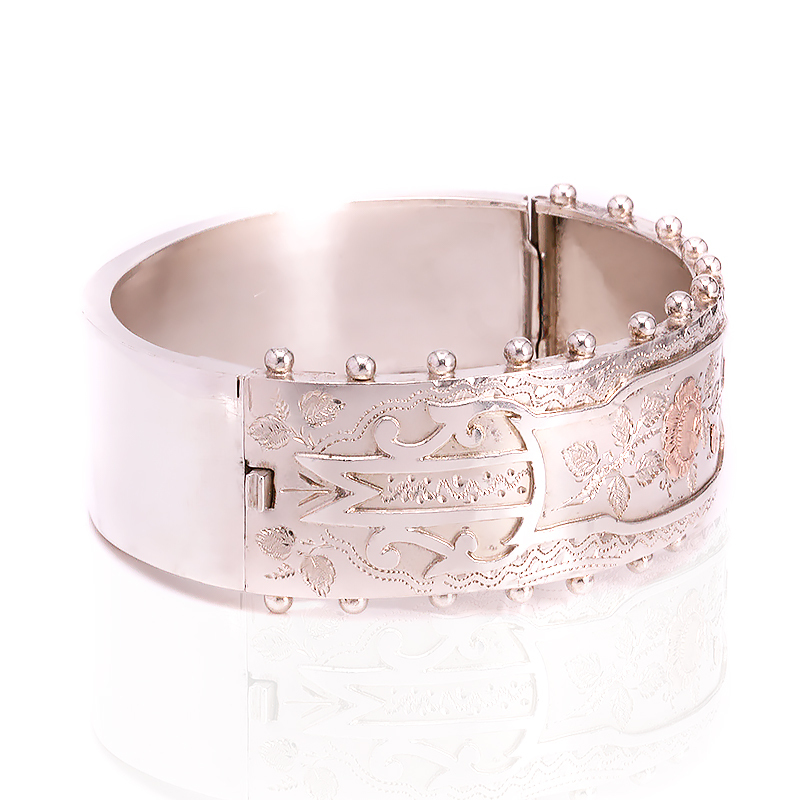 Product code: ES8244 Categories: Antique, Antique Bangle. This is such a beautiful and stylish antique silver and rose gold bangle that was made in 1884, and still looks amazing on the wrist even after more than 130 years has passed. 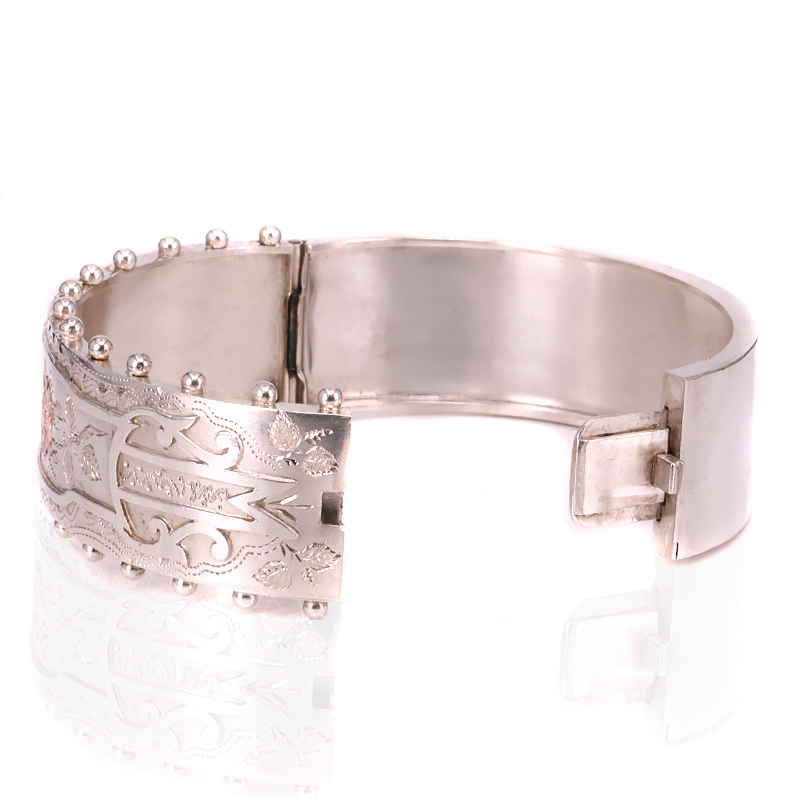 Measuring 23.6mm wide, the bangle has such a charming floral design on the front. Making the design stand out even more, it is highlighted with rose gold which has such a lovely warm tone to it. The combination of design as well as the use of rose gold really exemplifies why there is nothing more individual than antique jewellery. So easy and comfortable to wear all the time, this antique bangle is still in superb condition and can so easily be worn all the time.